There’s nothing like a perfect day dress to make you stand a little taller: I’ve been loving French Connection dresses lately (also wore one here) because they fit me right off the rack and seem to make the right parts smaller while highlighting what they should. This checkered one was no exception; I debuted it for brunch with some favourite blogger girls this past weekend and it proved to be the ideal balance between a ladylike frock and a no-fuss, casual piece… while also strategically hiding my post-meal food baby! I love this! Might need it! Gorgeous dress! Fits you perfectly! Love the red accent bag as well! where is french connection in vancouver now? seems like they all closed down? Love love the dress! You look so chic! Such a fun little dress, the construction is so pretty and feminine! gorgeous! 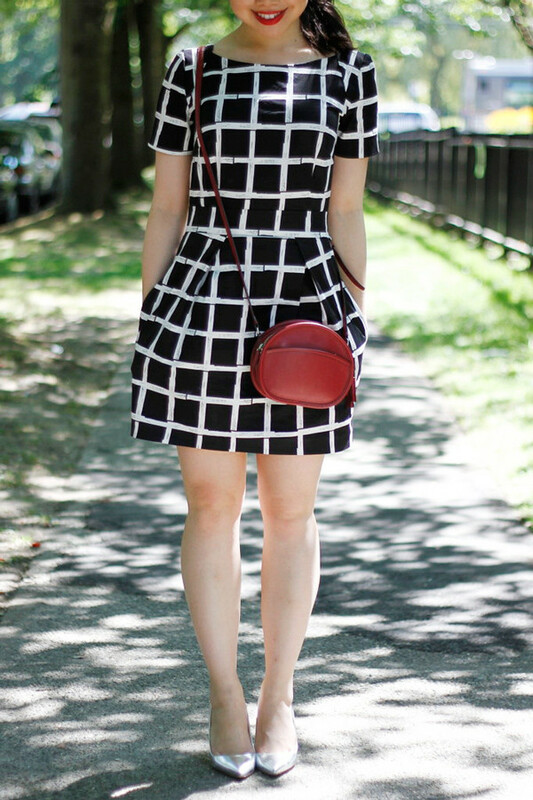 love it with the red cross-body bag! Love the dress and your little bag is so adorable! Adorable! That dress is so cute & will be perfect for fall too! Lovely dress! It looks great with your shoes! The dress is absolutely stunning and the fact it has a pocket make me all giddy with excitemment to get one. I loooove this dress, Jen! 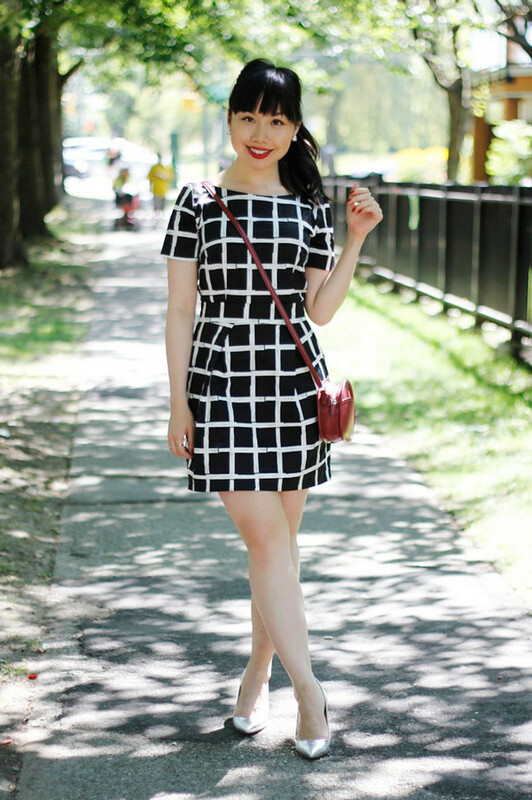 The cut is SO flattering and of course I love anything in a good black & white print! You also pull off the most perfect ponytail!